Andrew – hi there…. just a short note to say that we have made the move to the UK from South Africa – or the Mud-Island as everyone seems to refer to it! A mate of mine arranged an outride which has phenomenal results and has the GS community in SA talking! The 2 bikes are virtually identical, both Silver GSAs. Both did the same mileage on the day, both did the same water-crossing and the same mud on the same route. Both were clean to start off with. 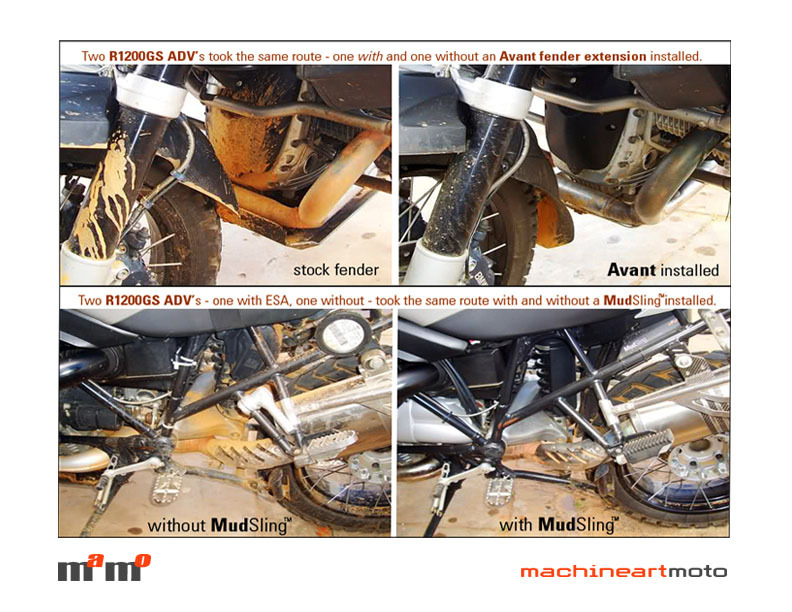 The only difference is that we recently fitted a MudSling to the rear subframe and an extension to the front lower mudguard of my GSA. The pictures speak for themselves and we are exceptionally pleased with the product…….. let me know what you think! All I can say – FANTASTIC PRODUCT………….!!! !